Prof. T. F. Hoang of Berkeley visited IPS on April 7. Dr. Deubel welcomed Prof. Hoang warmly. 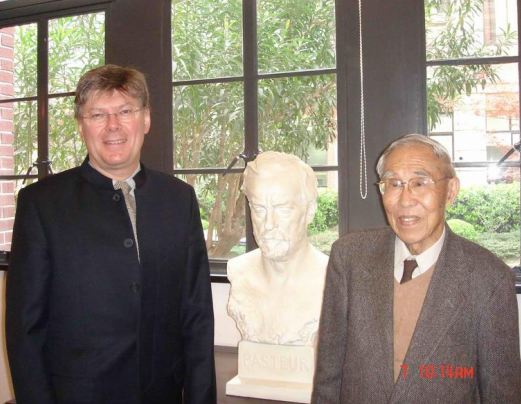 Dr. Deubel asked Prof. Hoang for advice on the call of fellowship of Tsi Jung Memorial Fund. After his visits to some labs accompanied by Dr. Deubel, Prof.Hoang was deeply impressed by the scientific atmosphere of IPS, which he appreciated as ‘Unique’.